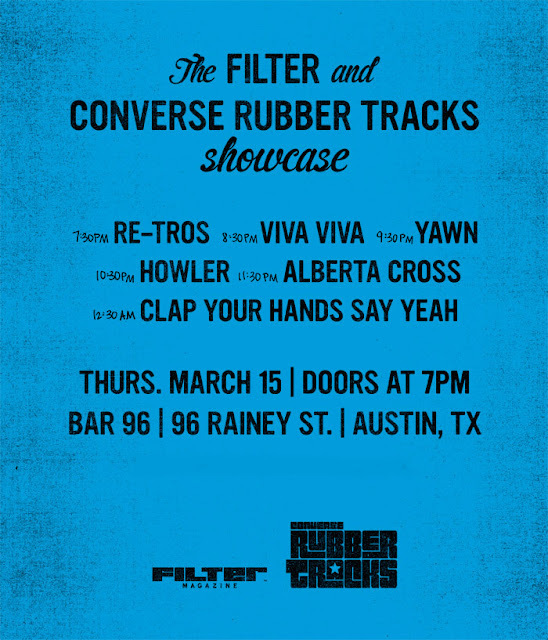 We've got all the details of our big FILTER Magazine and Converse SXSW showcase. Entry is pending capacity and are badges only. For those not going to Austin next week, and you want to check out all the action, there is going to be a live streaming video from Converse, that we'll share you here. Or you can come out tonite to the Good Life to catch the Austin T Party Kickoff, presented by Fort Point Recordings, Vanya Records and the Boston Phoenix.